Info Rand Paul is the third of five children. He grew up in a small town in Texas and attended Baylor University before leaving to go to Duke Medical School. Dr. Paul completed a General Surgery Internship at Georgia Baptist Medical Center in Atlanta and earned his ophthalmology residency at Duke University. Dr. Paul is married to his loving wife, Kelley Ashby, of Russellville, KY. They have been married for 18 years and have three boys: Will 16, Duncan 13, and Robert 10. Additionally, Dr. Rand Paul founded the Kentucky Taxpayers United (KTU) in 1994. KTU rates the state legislature’s tax honesty and helps promote the Americans for Tax Reform taxpayer pledge, to oppose any and all marginal income tax increases and any reduction in tax deductions. 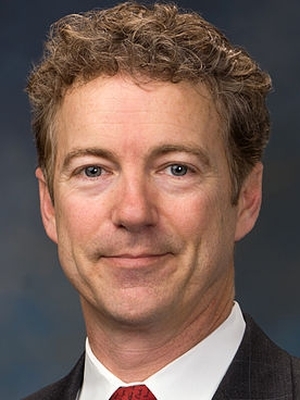 Dr. Rand Paul delivered his first public speech in a debate with Senator Phil Gramm at the age of 21 in San Antonio. For his father's Presidential campaign, Dr. Rand Paul traveled throughout ten different states. In December of 2007, he spoke to thousands of supporters at the historic Fanueil Hall in Boston on the day his father’s campaign set the record for most online donations in a single day. Rand Paul is a career doctor, not a politician. His entrance into politics is indicative of his life’s work: a desire to diagnose problems, and provide practical solutions. MT US Senate - R Primary - Jun 05, 2018 R Matthew M. Rosendale, Sr.